Your personal brand as a leader builds trust and creates your legacy. According to Forbes, trust affects a leader’s impact and the company’s bottom line more than anything. Over the weekend there was no better example of this than when Jonathan Thurston (or affectionately known as JT), the captain of the North Queensland Cowboys played his final game of professional rugby league football. JT received a series of knockbacks at the beginning of his career from clubs saying he was too small to play in the NRL. Thurston was eventually given his chance by the Canterbury Bulldogs who handed the then 19-year-old his top grade debut in round 13 of the 2002 season, albeit an unpaid position. One of the biggest mistakes a leader can make is to think their role or position automatically means they have trust. Trust does not come from a title alone. It takes dedication, patience, commitment and hard work. On occasion, it may mean having to prove yourself a little more than usual to gain trust that you can do the job. Stephen Covey once said, “When the trust account is high, communication is easy.” When you have trust you build relationships, lead change, gain results faster and attract and retain great talent. A lack of trust lowers productivity, morale and reputation. At a high level, gaining trust really comes from three areas- authenticity, empathy and credibility. Once you have these three aspects as part of your character and communication, you increase connection, influence and the respect desperately needed when leading teams through times of dramatic disruption and change. 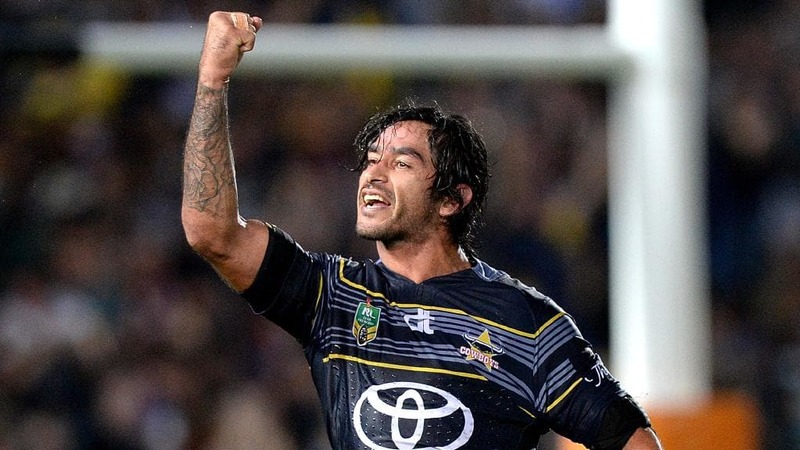 In 2008, Thurston was selected for the NRL Indigenous Team of Australia for the first time. This prompted his path toward learning more about his Aboriginal culture and began to carve the sense of self and identity for Thurston. He claims that spending time with tribal elders and people from his community have resulted in the stories he shares off the field to lead, educate, inspire and bring out the best in others. When you have a strong sense of identity in yourself, you have clarity of purpose, vision and a way forward. JT may be a gifted player but the journey he took into learning more about his identity created the sense of authenticity about who he is. He claims he gained a sense of purpose by having other indigenous sporting leaders. A sense of genuineness is the feeling that others have of you when authenticity is high. People are more likely to feel safer and reduce their fear of manipulation. As Oprah Winfrey said, “If I had known being my authentic self would make me as rich as I’ve become, I would have done it long ago”. When JT started his career, many clubs wouldn’t take him on due to his small size. He worked hard and eventually took on an unpaid position at the Bulldogs in 2002. They didn’t trust that he had the goods so he had a lot to prove. A strong sense of personal responsibility comes with building credibility. As a leader, it’s not always about what happens to you – it’s more about what happens next. With such credibility, it’s no wonder he has so much respect and influence in the industry and the wider community. In his drive to improve and be the best, he constantly sought out advice from mentors and experts and was always trying to find new ways to improve his skills. Without a sense of curiosity, our performance becomes stagnant. We continue to be focused on the status quo and as a result, lose relevance to what is actually happening. JT’s ability to tap into the expertise of others increased his creativity to solve problems under pressure and be in almost all parts of the field at any moment in the game. When JT won the Dally M, he broke down when talking about his family support. He shared the struggles he and his wife, Samantha went through to have children are what makes the bond with his family so special. There are a number of award ceremonies and interviews where he fights back tears overcome with emotion in the times when he is acknowledged for his performance and as a community leader. Vulnerability creates a powerful connection with others. It reminds people you’re real and not afraid of what might be perceived as shame. This then gives others permission and a safe environment to make mistakes. As Brene Brown said, “Vulnerability is the birthplace of innovation, creativity and change”. Towards the end of the 2015 Grand Final, Broncos player Ben Hunt dropped the ball effectively losing the game for his team. After the game, Hunt was downcast and bitterly disappointed. The Cowboys won their maiden NRL title after Thurston kicked a golden-point field goal to beat the Brisbane Broncos 17-16 at the Sydney Olympic stadium. JT has also been known to reach out to players at clubs other than his own who may be going through a tough time. Whether they had a bad game, got into trouble or suffering from an injury, he understood his role and responsibility as a leader, not just in his own club but for others as human beings, mates and friends. One of the most influential traits you can have as a leader is the ability to have empathy and to understand how others might be feeling. The ability to remove assumptions and truly connect with what they may be going through allows a human experience that will be difficult to replicate by any machine or artificial intelligence. JT surrounded himself with leaders constantly asking the question, “how can I be better?” He credits past players and his wife for their support and role in his success. When the Bulldogs won the 2003 premiership he gave his premiership ring to Steve Price, the captain who was out injured, forming a bond that would last a lifetime. The ability for a leader to remove their ego means a greater sense of openness and safety to share along with a platform for vulnerability. One of JT’s special qualities is his ability to make people feel special. A feature of his game was always acknowledging children in the crowd. He would do this by personally handing the kicking tee to the young ball boy, as well as donating his signature protective headgear to a young fan in the crowd after every game. He would also stay behind to sign autographs, often to the frustration of waiting for media outlets. When you show a sense of equality, you are telling others you respect them. In turn, the law of reciprocity kicks in and you create greater respect for yourself. It reduces an awareness of status and a greater emphasis on human connection. In 2010, JT was arrested and sent to the watch house for disorderly behaviour and in a separate on-field incident verbally abused a referee. He publicly apologised and acknowledged these incidents were out of character and shouldn’t have happened. Acknowledging his faults, JT credits his wife for supporting him to get on the ‘straight and narrow’ and telling him to clean up his act. When we’re transparent, we reduce the fear and anxiety of our stakeholders and team. They know what is going on and what you’re going to do about the mistake. Equally keeping people in the loop increases a sense of safety for others as they feel like they have to do less second-guessing and reading between the lines. JT has had a remarkable career to date. The best part of it is he is leaving on an incredible high and the world is his oyster. His leadership and ability to share his personal growth journey is what makes him so real, relatable and a role model. I’ll be watching his journey to see what he does next as he still has a lifetime ahead of him being only 35. Identity: What is your personal brand, history and where do you come from? Authenticity: Are you around people who encourage you to be free to the best version of yourself? Credibility: Do you actually do the work or just say you do the work? Curiosity: How often and to whom do you reach out to for feedback? Are you listening to the right people? Vulnerability: How often do you allow people to see the parts of you that may not appear perfect? Empathy: When was the last time you reached out to someone who was suffering and shared your own challenges to support and encourage them? Humility: Do you allow others to be acknowledged for their successes? Equality: How often do you connect with others who may not be as senior as you and see you as a role model? Transparency: do you apologise when you have made a mistake? Jane Anderson is a communications expert, speaker and the author of 6 books including the upcoming “TRUSTED: The Level Above Influence.” With over 20 years experience helping people step into their personal power, she is obsessed about creating human connection to drive business growth in a world of disruption and automation. To inquire about her working with you or your organisation please contact us here.